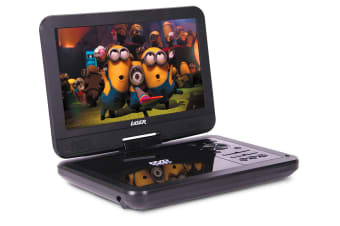 Read customer reviews of the Laser Portable DVD Player 10" With Bonus Pack. After a purchase, we invite our customers to leave a product review. The customer reviews for Laser Portable DVD Player 10" With Bonus Pack are below. Very clear picture. Looks great. Did exactly what i wanted it for. Good size screen and portable. As it was given as a gift I can only go by the enthusiastic response of the recipient. This was a mothers day gift, she has said the sound on this product exceeds previous products she has purchased from other suppliers. Works great my son loves his new one because it is bigger and better great picture and sound is good too.